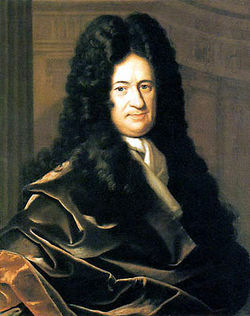 The German philosopher and mathematician Gottfried Wilhelm Leibniz (1646-1716) was a major figure in Western thought. Born in Leipzig, he served as a diplomat and lived for much of his life in Paris. He later served the Duke of Brunswick in Hanover and became the first president of the Prussian Academy of Science. His wide-ranging works on philosophy, mathematics, science, history and jurisprudence were written in French and Latin. Leibniz was a man of many interests and even devoted himself to the Albanian language, which was very little known at the time. Here are extracts from his correspondence. I. On some medication, II. On the death of the Count of Schwerin, III. The Albanian-Illyrian language, IV. Chinese, V. On Wales, etc., VI. On the old Spanish alphabet. I. I would like to thank you for informing me about the remedy of the Prior of Cabrières. Such proven remedies ought to be published with details of experience with them. You mentioned some others. II. I am grieved by the death of the Count of Schwerin. He was a man of knowledge and curiosity and helped promote studies and learning. I somewhat suspect that Mr Brand will now be given the position as head of the King's Library. III. I have no doubt, Sir, that your merits will be taken into consideration more and more as I note that those with positions of authority are persuaded of them. I also see that I am in aere tuo since I owe you the Lord's Prayer in Hottentot. I still cannot find it, but as I am sure that I have it somewhere, you will receive it one day without fail. As to the language of the Albanians, I have the impression that it may be a sort of Slavic since this tongue is spoken along the Adriatic Sea. It is commonly known as Linguam Illiricam, but I believe that the language of the ancient Illyrians was something quite different. If there were any remnants of it in the mountains of Epirus, it would certainly be very odd, and most worthy as a subject of research. I have thought about it more than once, but it did not occur to me when I was in Rome, where I know Mr Pastritio (if I am not mistaken), professor at the College della propaganda (for the Propagation of the Faith), who was himself from Dalmatia. I do not know if he is still alive. That could be found out in Ragusa (Dubrovnik) or even in Venice since the territories of the Republic are quite near to Albania. IV. If I might, Sir, I would like to encourage you to learn the Chinese language. I believe, as you do, that the late Mr Muller, a gentleman of learning, saw something of interest in it. I hope that we will get a copy of the Tartar-Chinese Dictionary which the Emperor of China is having prepared, and I have written to the Jesuits telling them that it would be good to have some explanations in a European language. Father Grimaldi did not believe that there was a key to Chinese characters. But there must be some reason what they were made that way, even though the passage of time may have rendered them difficult to decipher and caused irregularities in them. V. I received two dictionaries of the language of Wales. The older one by Davies was published in London in 1632 in fol. and was sent to me with a grammar published in 12 in 1621. The second Welsh dictionary is by Thom. Jones, published in 12 in 1688. It gives Welsh to English, though not vice versa. But Davies gives Welsh to Latin and Latin to Welsh. I am still persuaded that at least half of Welsh corresponds to Germanic, and that it is rather like Greek is to Latin. Old Germanic contained quite a few words we do not understand today. I rather believe that the ancient Britons came from Germany, and that the Gauls etc. have something of the language of the ancient Cimbrians and Germans of which little is left, and that the Irish are the reflection of an earlier migration of older Britons, who also crossed the sea. Thus, Irish is an even older form of Celtic. There are people in England working at the moment on explaining the Irish language and I would be curious to know what they come up with. Davies quotes a Dictionarium Britannico-Aremoricum, published in Paris impensis Yvonis Quillevere in 1521. But enough of this. VI. I asked for the Chinese inscription from Mr Cuper, but I have not yet received it. He spoke to me about a Dutchman who spent much time in Spain and hoped to be able to decipher the ancient Spanish alphabet. I. On the Albanian language, II. On the Armenian, Coptic and Georgian languages, etc., III. On the language of the countries under Czarist rule. I. Since Mr Hubener is passing through here on his return from Holland, I asked him to get hold of a manuscript in the King's Library, which I am sending back to you with thanks, and I have the honour of writing to you at the same time. I was very pleased to hear that you have received a book and a Dictionary of the Albanian Language. By it we see what the language of the ancient Illyrians was like. I nonetheless notice that there is much Latin in it. Attiyne for "our father" corresponds to the Scythian languages. It would also seem that there are small traces of words which are like German, such as seet for "earth," Enandeyenée "to pardon," and ndetekech "in temptation." II. You will soon be universal in linguistics, Sir, since you are even enhancing your knowledge of Armenian, which is quite different from other languages. You know that the late Mr Acoluthus thought he had found a link between Armenian and Coptic, but I believe he was mistaken, at least I received no persuasive evidence from him when he talked to me in Berlin. You will be able to make a better judgment now. The Georgian language seemed to me more unusual than Armenian because of the multitude of moods it has. Your explanation of the Armenian medals will be suitable as part of our Miscellanea. III. There is a gentleman from Moscow here, an envoy of the Czar, who intends perhaps to spend a couple of weeks here. He calls himself a prince or knjaz and is of the old Kurakin family. I will endeavour to get him to write to the Chancery in Moscow to get us samples of the languages of the countries under Czarist rule, and of the neighbouring countries. And if you have any request, I would beg you, Sir, to inform me of it as soon as possible. As he is a native of the country, he can more easily write to get things than can foreigners in the employment of the Czar, to whom I have written and spoken, but to no avail. For the rest, I am yours, etc. I. On the Albanian language, II. The Georgian language, III. The work of Nestor of Kiev, IV. The rebaptism of the Latins among the Russians, etc., V. The origin of the word Cossack. II. On this occasion, I would beg you, Sir, to send me the Lord's Prayer in the Epirotic (Albanian) language in an interlinear version and would be obliged to you if you could add the Credo, if possible. Please also send me the titles of the two books in this idiom, their size and the date and place of publication, for this language, being little known, is worthy of being investigated. I will endeavour to find these books in Rome. With them, ancient monuments have been dug up from the foundations of Notre Dame in Paris. II. …One day in Berlin you gave me a book in the language of the Epirots, printed in Rome by the Propaganda Fide. I believe it had the Lord's Prayer in that language and I took it out. But I cannot easily find it in my letters. Would you be so kind, Sir, as to send it to me once more?